Following the huge runaway success of the ITV2 show ‘The Big Reunion‘, this week sees the release of ‘The Big Reunion’ album, which is available as a download from iTunes and the like. 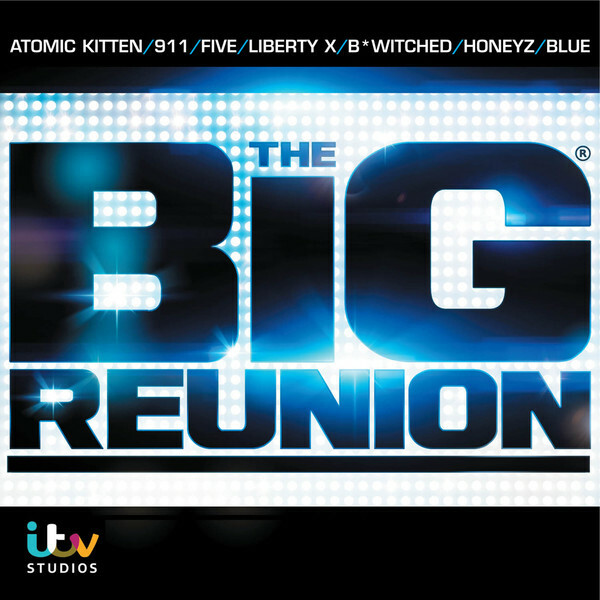 The nineteen track compilation collects three of the biggest, brightest and most loved hits from participants Atomic Kitten, Honeyz, 911, B*Witched, Five and Blue, but with just one appearance from Liberty X, which is unfortunate and due to licensing and publishing restrictions. Onto the positive and more exciting! A DVD of the initial live reunion concert which was filmed at the Hammersmith Apollo on 26th February is forthcoming and due for release on 1st April! The concert film is available to pre-order now from Amazon here. The disc contains the concert in full as well as backstage gossip from the bands as they performed together onstage for the first time in a number of years. The compelling (yet conveniently factually incorrect) series continues on ITV2 on Thursday at 9pm. The Big Reunion arena tour dates in May can be found here.